You must complete the following steps in order to attend our International Language School program. We offer 4 terms (Fall, Winter, Spring, & Summer), with rolling acceptance. We begin our Winter Term on December 5th! 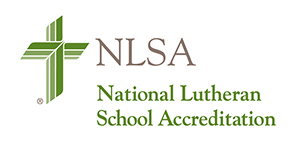 Apply to St.Paul's Lutheran International Language School (ILS) using our online application. Pay the $575 application fee (our online application will direct you to the payment link after you have completed the application). As your sponsor, we will enter your visa information into SEVIS (Student and Exchange Visitor Program). We will provide you with Form I-20 (Certificate of Eligibility for Nonimmigrant Student Status). You will need this form. Complete Form-901 & pay the fee online (tutorial available). Print a receipt of payment to submit to us. Apply for F-1 Student Visa. You will need to complete this at your nearest US Embassy or Consulate. Purchase your airplane ticket. Send us a copy of your airplane ticket. You will need to arrange a homestay that best meets your needs. We recommend & work with the following Homestay agency (fees range from $1200-1400 per month). Please let us know how we can help. We will meet you at the airport on the day/time of your arrival, and bring you to your prearranged homestay. We will help make your transition as easy as possible.